Training Schedule - e-northamerica Inc. If you would like the accreditation to be held on a specific date, please send us a short message. BOOK NOW! OR CALL US - This accreditation brings you to the next level! 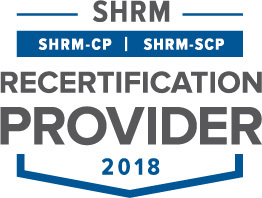 This program is valid for 14 PDCs for the SHRM-CPSM or SHRM-SCPSM. This training offers a sales strategy based on identifying the customers’ requirements through the development of unconscious and conscious needs. Delegates learn to use each opportunity at the right time, thus achieving higher results and developing more long term relationships with the customers. In today’s competitive environment the role of a technical consultant (sales engineer) is changing more and more towards a problem solver and solution provider. This program helps technical consultants to become a more proficient partner in communicating with customers. It enables the consultant to uncover the real causes of difficulties. The consultant picks up potential leads, thereby helping the customer, the sales team and enhancing his/her own standing..
Professionally experienced technical consultants, specialists with customer contact as well as office employees with customer contact. $1270.00 Price per person for 2 days. Respecting the personal preferences, desires and motivations of team members leads to higher success and long term results. In this programme, we explore leadership based on the personality and preferences of the team members and learn how to recognise them. Course objectives: Participants treat team members according to their personality and personal requirements. They employ the most efficient communication techniques (CA® model) and gain confidence in the contact with people. In particular, they are able to communicate in any kind of situation, recognize different personalities and achieve concrete results. unvorhersehbar it with the # one tool of Denmark "e-stimate®"
Leading a team is always a challenge especially when it comes to critical situations. A good leader should not only reflect on the challenges that lie ahead of his/her team or company but also on the strengths and weaknesses of the team members he/she needs to collaborate with in order to cope with these challenges. But how can you as a leader make sure you approach and lead individuals based on their preferences and personalities? In this leadership program we explore a personality-oriented leadership style and learn how to achieve better results with a team when taking the personal preferences, desires and motivations of the respective team members into account. their preferences? Course objectives: - to competently communicate in any kind of situation -	to recognize different personalities to achieve concrete results based on the individual strengths and weaknesses of the respective team and its members. Participants learn how to treat team members according to their personality and personal requirements. They get to know the most efficient communication techniques (CA® model) and gain confidence in dealing with people whom they are not naturally in tune with. They will be accredited for the e-stimate® personality analysis tool and the Global Leadership Program from crossculture academy and Steinbeis University Berlin. 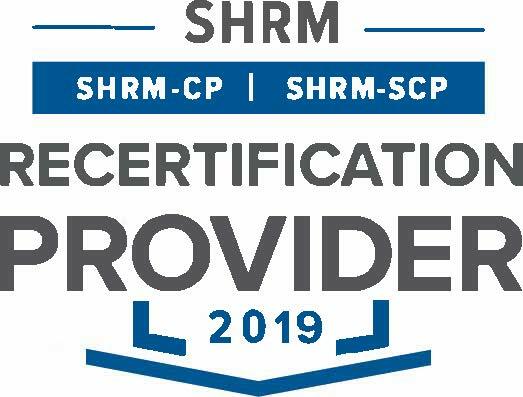 Leading with the # one tool from Denmark "e-stimate®"
This program is valid for 21 PDCs for the SHRM-CPSM or SHRM-SCPSM. Developing leaders cannot be replaced by technology alone if we do not develop leaders we cannot build quality team’s in this program we teach you the fundamentals of a leader who is competent, committed and leaders of character. This course will assist you in developing your ends ways and means in ensuring your organization understand the importance of Leadership development. Entry and Mid Level Managers, Those who want to improve their leadership Skill and Abilities. Task: - Educate the Manager on the Leadership specific leadership ASSESSMENT process. - Train the company cadre as the leader development team. Standard: All manager’s understand the assessment process and are able to make a thorough ASSESSMENT of Themselves and Employees so that he / she develops and grows his or her team. The programme is based on the applicability of the sales methods and techniques in your daily job by identifying customer needs using the ODIR® model. This training was specifically developed upon the request of a telesales customer and caters to the needs of telesales people in IT, banking, insurance and financial services.